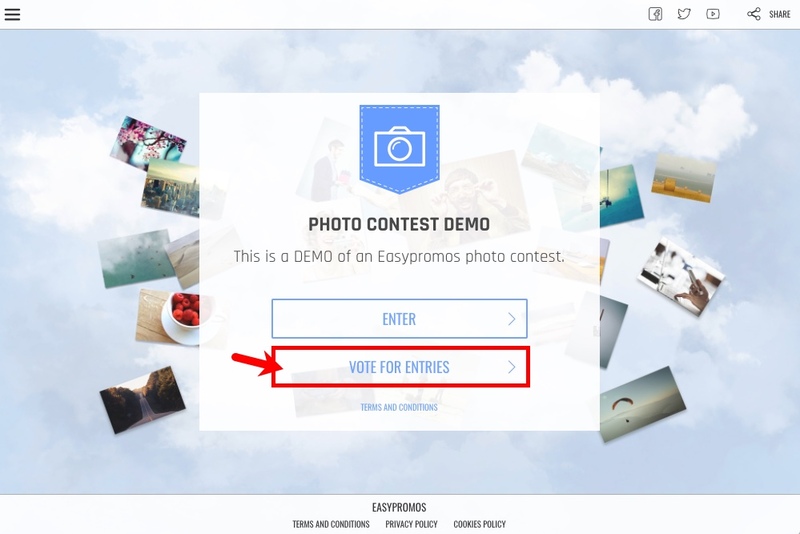 All Easypromos photo, text and video contests come preconfigured with the voting system activated. This is because these types of contests are usually combined with popular voting to viralize the promotion and make it more dynamic. The voting system is supported by a series of anti-fraud measures which make it possible to monitor and control any suspicious activity by voters, enabling the organizer to manage the contest more efficiently. Learn more about Easypromos fraud control alerts and its fraud control system. 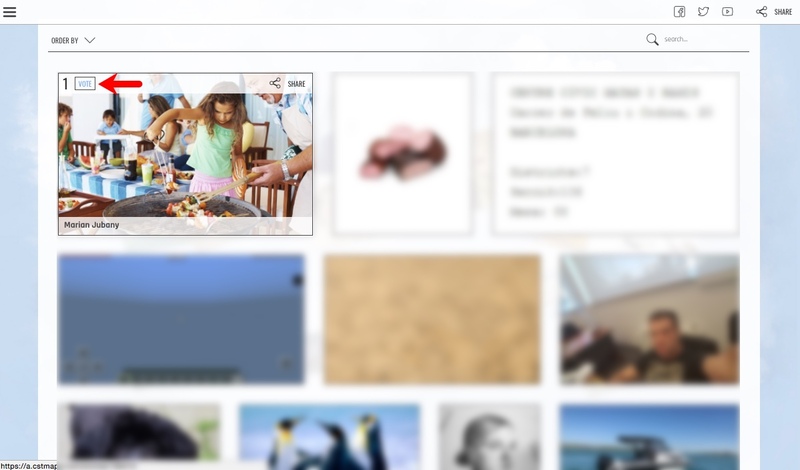 There are a number of ways for users to access the gallery and vote for their favorite entries. If users gain access using the main promotion URL, they’ll reach the public gallery via the “Vote for Entries” button on the promotion’s homepage. From here users will be able to view all the entries and vote for the one they like best. After completing that first step, the user should then verify that they are not a robot. Normally, this simply entails clicking on the “I’m Not a Robot” box. However, the ReCaptcha may ask for further verification if it thinks this is required. Upon completion of these two mandatory steps, the “Vote” button is activated and highlighted. The user can then cast a vote. As indicated in the text beside the button, voters are accepting the terms and conditions of the contest when they click on the button. Voters who have had their email address verified, or who have logged in with Facebook, will be shown the “Thank You” window. You can customize the text in this window to give voters the chance to share the participation they voted for. Voting content will be displayed differently depending on the social network being used to share the entry. Link: The user will be able to copy and paste the direct link to the promotion to share it across other channels (email for example). Mobile device users can also share with their contacts via instant messaging apps, such as WhatsApp, Line and Telegram. 1. Make entries votable. 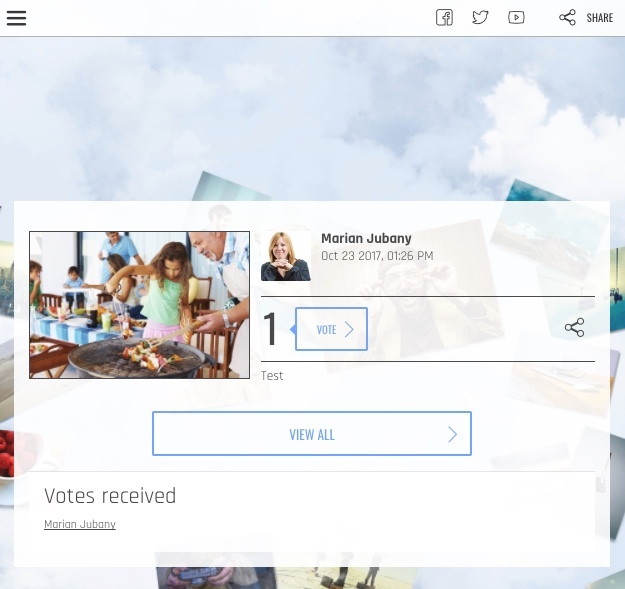 By default, the photo contest comes preconfigured with the option to vote for photos. If you don’t want users to be able to vote, you should disable this option. 2. Make number of votes public. The “Vote” button can display the total number of votes that the entry has obtained. 3. Make users who voted public. You can publicly display the avatars and names of all voters alongside the entry that they’ve voted for. 4. Number of entries users can vote. Define how many votes each user can cast in a single contest. Leave this blank if you do not wish to place any limit at all. A user will never be able to cast more than one vote for the same photo. By registering and verifying their email address (Only available in Premium & White Label promotions). Note: The administrator will need to choose between one of these two methods for identifying voters (through a Facebook account or through an e-mail) because these two options can't be combined. Users who don’t identify themselves won’t be able to cast their votes. Users who identify themselves via email must verify their address to ensure their vote is counted. Learn what information you will obtain from users who have voted and how you can download it. 6. Message displayed after voting.You can customize the message which appears to voters thanking them for their vote and encouraging them to share the entry. 7. 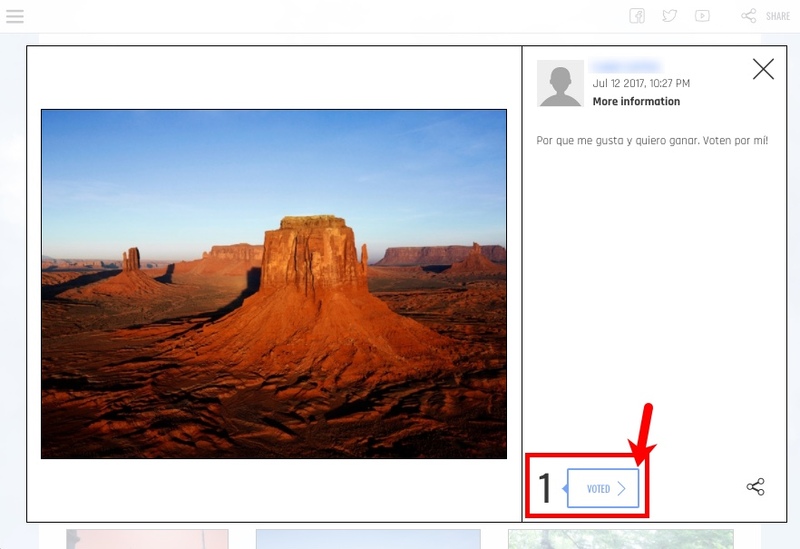 Include buttons to encourage users to follow social networks as an optional step to vote. Activate this option if you want these buttons to appear in the voting window. They can be configured in the General > My Networks > Networks section. Note: The functionality of displaying the "My Networks" module to users who vote in the contest is included by default for contests created with the Premium and the White Label versions, but it is not included by default for promotions created with the Basic version. It can be added to the promotion as an additional extension for $29 USD/29 EUR. 8. Fraud control. You'll be able to see the alerts of votes and the Fraud Index for each participant in the list of participants of your contest. If you don’t want your contest to allow voting you can disable this feature via Pages > Gallery > Votes. Disable the "Make entries votable" option and the whole module will be deactivated. To know what information you can obtain from voters, click here. "A user will never be able to cast more than one vote for the same photo". Why can't a user submit MORE THAN ONE VOTE for the SAME photo? For example, if there were a feature or setting that allowed the user to vote only once a day for the same photo, then the user would be able to able to vote once every day, for the same photo. So in a competition spanning 30 days, the user will be able to log in everyday and vote once per day for his or her favourite entry (photo or essay). This will help drive traffic back to the Facebook page that hosts the contest (via the easypromosapp FB application tab on that FB page), which is what many companies wants to do (increased traffic to their corporate FB page). Personally, I find the rule "A user will never be able to cast more than one vote for the same photo" too restrictive. Already there are the Captcha image click-ons that the voting user must go through. Isn't that enough to verify that the user is a human? Please allow a setting that allows N number of votes per day for the same entry. That would make the contest more flexible and it would suit many organisations who run their contests in different styles. I am also interested in more than one vote per image per user. Is there anything on the horizon? What information will I obtain from users who have voted?